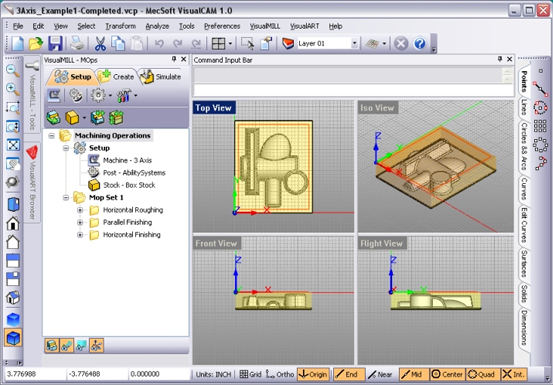 VisualMILL, our flag-ship CAM software package, is ideal for mold, die & tooling, wood working, rapid-prototyping and general machining. This product includes 2-1/2, 3, 4 & 5 axis machining functionality. It comes with hundreds of free post-processors and a post-processor generator to create your own. Priced right for the cost conscious buyer, VisualMILL CAM software delivers outstanding value for your investment.